A new report by the TTSA and Common Weal is a timely and persuasive renewal of the case for public ownership. This week the TSSA transport union and the Common Weal think-tank released a new report ‘A public future for Scotland’s railways’ – a timely and persuasive renewal of the case for public ownership. Not since the push to privatisation under the Major Government has the ownership of our railways occupied the place that it does today in political debate. 20,000 people signing an online petition calling on Abellio to improve services or be stripped of the ScotRail contract. Trade unions, the Labour Party and the Co-operative Party going further, demanding that ScotRail return to public ownership at the earliest possible opportunity. A Scottish Government seemingly unable to guarantee improvements in ScotRail services, now having to get round the table with opposition parties and trade unions and have meaningful discussions on taking forward a public bid. Millions across the UK voting for a radical Labour manifesto that promised to abolish the expensive and wasteful bidding process altogether and bring the railways back into public ownership – no ifs, no buts. Times are changing. The extraction of profit from our railways has to end. Profit should be reinvested in rail services and making rail travel more affordable instead. Better, more reliable, democratically accountable rail services. The report finds that there is a 40% ‘efficiency gap’ between the UK rail system and comparator countries in Europe, where the rail network operates on different principles. And it finds that at 45%, the proportion of public subsidy to Dutch-owned ScotRail is higher than anywhere else in the UK. Money that could be saved and a service that could be democratised. In one of his first acts as the new Scottish Labour Leader, Richard Leonard announced a series of policy reviews, one which will look specifically at expanding public ownership. 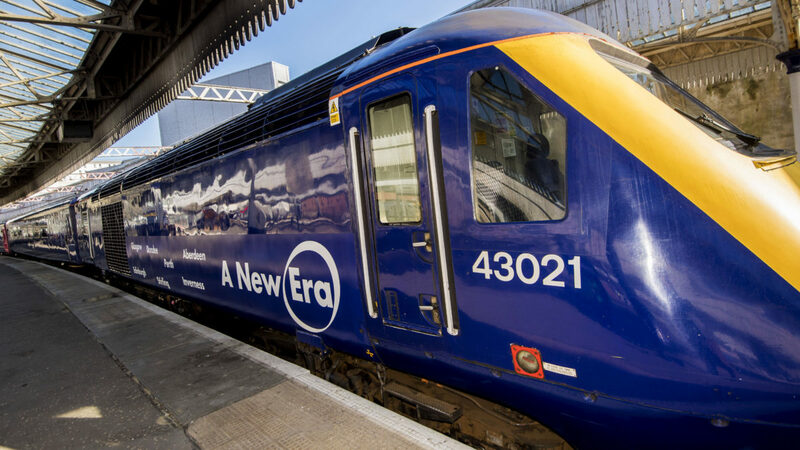 This report sets out three possible models for a publicly-owned ScotRail and bringing common ownership to the railways. An arms-length public body akin to Germany’s Deutsche Bahn or SNCF in France. An integrated public transport body responsible not just for rail travel but for other modes of public transport such as ferries. Or a co-operative model, a new rail company owned by workers and passengers – a Social ScotRail more responsive to the needs of the communities it serves and the co-operators who own it. But whichever model is chosen, the report acknowledges that co-operative values must shape the new philosophy of the new ScotRail. That’s why workers and passengers should have a significant and meaningful voice in the governance of our railways. A socially-responsible, sustainable operator, making Scotland greener and fairer. A publicly-owned railway run for people, not profit.